His name is Ashiya. He comes form the sea and he wants to protect it - so he has two tentacle-ish hands to do something with them. He also has gills for breathing underwater. I wanted to create a sidekick character for a story that has a lot do with water, and the protagonist is very dynamic and energetic, but also impatient and has lack of confidence sometimes. So I wanted to draw him a supportive character - who has enough mental strength and confidence but is also cute, warm and loving. 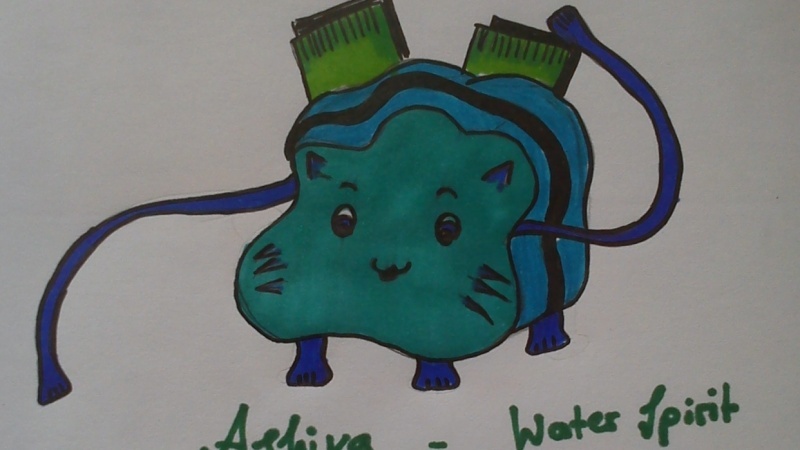 If you have any tipps on how to improve this little watercat you're more than welcome! :) It was a lot of fun! Thanks for the lesson!